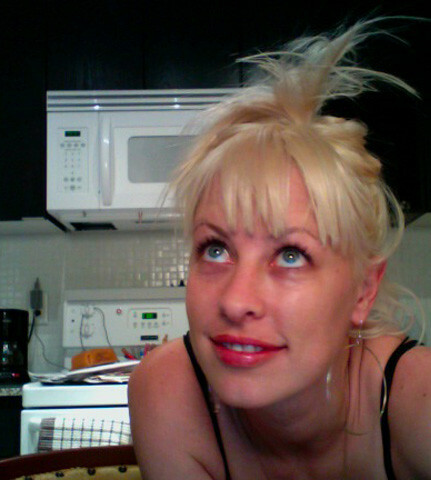 KeriCDN is a talkative girl with lots of creative energy; exploring Canada is her raison d’etre. At Queen’s University in Kingston Ontario, Keri studied business, history and linguistics, but her real life education started in February 2008, when she started blogging. Keri The Canadian Explorer has culturally significant adventures everyday, and she shares her discoveries with a growing tribe of domestic and international followers. It’s interesting that she profiles all types of Canadians, not just the ‘great ones’. She reports the facts and lets her audience decide if her subjects and settings are worthy of praise. For example, she’s quite proud of a recent video exploring the Canadian Navy. Keri’s site contains no advertising. She has refused to do sponsored posts and thinks Google AdSense looks tacky; she doesn’t want to appear avaricious for three cents a day. The business training inside of her is however looking for benign sponsors; she would like to play a part in something larger, something sponsored by a proud and worthwhile Canadian enterprise. To that end, she threw a blog party at the Reservoir Lounge last November. It was a big success, and helped put her at the center of a local community of like minded individuals. 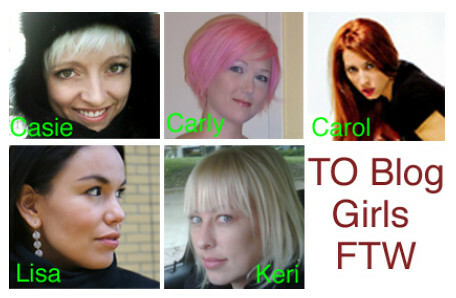 Since then she has banded together with some other famous web friends to create The Toronto Blog Girls which is a loose association of popular Toronto fashionistas and event bloggers that reside in Canada’s largest city. All of these girls are attractive, intelligent and artistic, and together they’re a powerful press squad. Keri’s biggest fault might be that she’s too darn nice. In the video she did with Five Hockey Legends, she really shouldn’t have let security interrupt her filming, and it’s so typical of Canadians to apologize and be so concerned with procedures instead of just rolling tape and saying sorry later. To that point it would have been great if she’d turned and tried to leave with Red Kelly’s NHL Stanley Cup ring… but she’s too nice. Keri often profiles influential speakers and attends a lot of events on inspirational subjects. In most episodes the girl charms her way backstage or somehow corners presenters after appearances. Her well conceived queries combined with her compelling interview style more than compensate for the bad lighting and sound quality in these commando videos. See Gary Vaynerchuk Loves Canada! 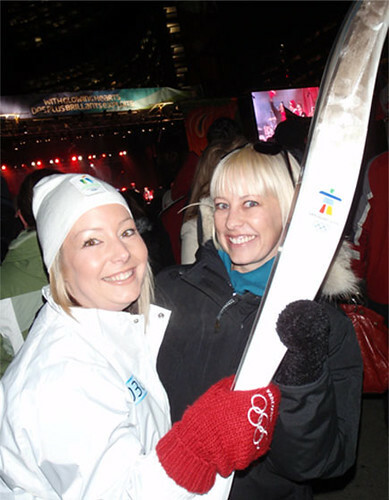 Keri’s short term dream is to attend and chronicle the 2010 Winter Olympics in Vancouver. As a true Canadian explorer and premium blogger, she believes it’s her manifest destiny to be at this international event, sharing the experience with the rest of the nation. This single cause has coloured her blog for months. She entered contests, wrote letters and collectively schemed right along with her readers to get herself over to the other side of the continent in February. And then finally, it worked. Keri has been contracted by Canoe.ca and Sun Media to cover the Winter Games as official press. In addition to her blog, you can subscribe to KeriCDN videos on YouTube and follow her on Twitter @KeriCDN. Best article written about me to date. Thanks for this, Rob, and pumped to be a part of your network. Keri is an awesome girl. I love reading her blog and her adventures. Her videos are the perfect ray of sunshine to brighten up any day. I’m really looking forward to her coverage of the Olympics for Canoe.ca. Keep it up KERI!! You are a rockstar Keri! I am so happy for all of those awesome opportunities that keep coming your way. I am inspired. How is she a Canadian Explorer when she hasn’t even left the province, and barely the city? I don’t think blogging of how you look when you’re laughing constitutes as real journalistic integrity. Hey Lisa – the part where you say I inspired you is awesome, thank you. Daniel – You’re right, I’ve not made it far outside Southern Ontario, and we’re a huge country! But I’ve got to raise money and sponsorships to do that, any ideas? I figure it’ll take one year to do it properly and to live for that long on the road will be big bucks. Also, I’ve never said you should take everything I say as fact, or that I had “real journalistic integrity”. Despite that 95% of the links and Canada tidbits you read through me are fact; that’s good cross-referencing. Later.